known for his works: "Malcolm in the Middle," "Walk Hard: The Dewey Cox Story," "Agent Cody Banks 1 & 2," "My Dog Skip" and more! Note: YOU gNeek neither states nor implies that any of these celebrities endorse our products. 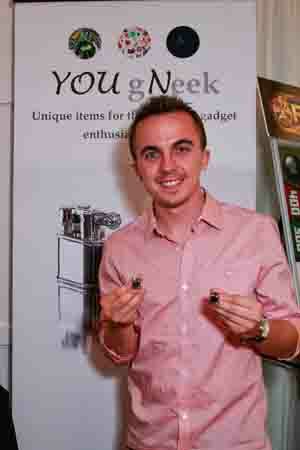 We sincerely thank Frankie Munez for taking pictures with our functional jewelry!